According to tradition, Barbara lived in Asia Minor in the third century CE, daughter of a prominent Roman citizen. Converting to Christianity, illegal in the Roman Empire at the time, she had a third window added to the tower of her home to symbolize the Christian Holy Trinity while her father was away. She was arrested, condemned to death, and her father carried out the sentence. He in turn was immediately struck dead by lightning. 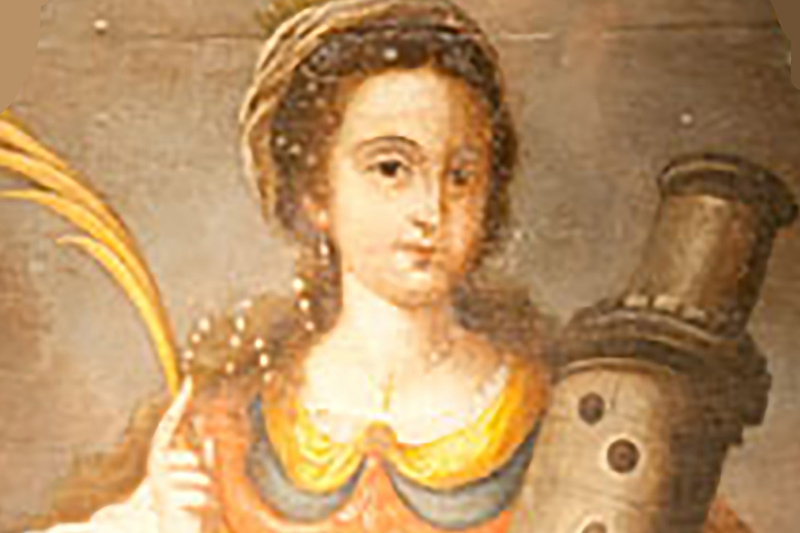 Barbara, martyred for her faith, became the patron saint of miners, artillerymen, and builders, among others. Explorer Sebastián Vizcaíno named the channel here in her honor in 1602. In December 1602, on the eve of St. Barbara’s Feast Day, Spanish explorer Sebastián Vizcaíno sailed into the channel, whereupon the priest aboard the ship christened it Santa Barbara.